The National Health Interview Survey estimates that 75%of the general population experiences some degree of stress on a bi-weekly basis. 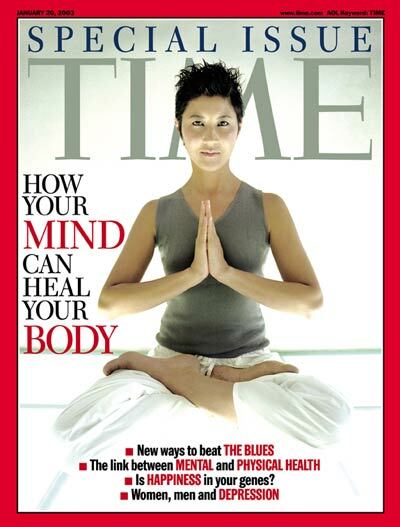 According to Alice G. Walton, author of the Forbes magazine article, “Just A Few Minutes Of Meditation May Reduce Stress, Study Finds,” meditation can improve a variety of issues, such as depression, anxiety, stress, eating disorders, post-traumatic stress disorder, addictions, and cognitive function (i.e. memory, reasoning, critical thinking, and problem-solving). It can also strengthen your immune system, and help you ward off viruses, illnesses, and diseases. Moreover, research suggests that meditation can regulate blood pressure, ease chronic pain, aid in cellular production, and reduce cortisol, your body’s stress hormone. How does meditation actually affect your body and health? Meditation reduces stress and improves your health by altering the way your brain functions. Your brain consists of multitude of cells and neurotransmitters (brain chemicals) that are responsible for developing new connections, and interrupting old ones, based on their reactions to stimuli. This process is called neuroplasticity. Meditation affects your brain’s neural circuits, which in turn affects how you react to various situations. Meditation also alters the structure of your brain. How? Well, by “thickening” some areas of your brain, and “thinning” others (i.e. less dense). Are you confused? Well, think of it like this – the end of a neuron represents your hand with thousands of little “fingers” at the end. The number of little “fingers” on that hand (the end of the neuron) represents the number of interconnections between neurons. It is important to note that the number of interconnections can change, especially if your body is stressed (i.e. conflict, grief, illness, emotional distress, etc.). So, are you wondering if meditation can reduce stress and improve your health? If the answer is “yes,” you have come to the right place. This article will explain the health benefits associated with meditation. Meditation can improve your health by reducing your pain. A recent study on mindfulness therapy (meditation) and pain found that mindfulness techniques can improve the perception of pain, and the actual neuron response to pain (Melnick, 2013). Dr. Joseph Grant, a researcher, also conducted a study on meditation and pain, and found that meditation provided relief to those with chronic and moderate-to-severe pain. These individuals were also able to cope better with stress-related pain. Meditation can also lower your stress levels. Negative emotions that are linked with stress are processed in a part of the brain called the amygdala. Chronic stress can actually cause this part of your brain to become “thicker” (dense). However, tests show that people who practice meditative techniques on a regular basis experience a decrease in amygdala activity and a gradual reduction in brain density during stressful and challenging times. What this means is that meditation has the ability to alter your brain’s response to stress and the actual structure of your brain. A study on smoking cessation and mindfulness therapy (meditation) found that participants who practiced mindfulness techniques to stop smoking experienced a lower stress level during the study (Melnick, 2013). Meditation is beneficial for your health because it can strengthen your immune system. A recent study on immune system function in older adults and meditation found that meditation helped to suppress the genes responsible for activating an inflammatory response in your body. In other words, meditation prevented your immune system from becoming hyperactive. How? By stopping inflammation at the genetic level. According to a study at the Benson-Henry Institute for Mind Body Medicine, participants with high blood pressure (hypertension) were able to reduce their blood pressure medications after practicing meditative techniques daily for three months. These individuals also noticed a significant decline in their blood pressure levels after meditating. Meditative techniques are able to lower high blood pressure levels by prompting your body to produce higher levels of nitric oxide (a gas that expands blood vessels, allowing blood to travel through them uninterrupted). As a result, your blood pressure is lowered as blood flows more freely through your body. Meditation can help you form new memories. How? Well, your brain consists of two brain regions (hippocampi) that are responsive to stress-related stimuli. The main difference between the amygdala (another stress response region) and hippocampi is that hippocampi “shrink/thin” various brain regions, while the amygdala “thickens” those areas. One study on mindfulness-based response training and memory formation found that those that practiced meditative techniques experienced a reduction in grey matter in the hippocampi. A high concentration of grey matter in the brain can cause memory loss, so this reduction in grey matter was a positive sign of memory enhancement. Meditation can reduce your stress and improve your health by lowering your risk of heart disease. A study on older adults, heart disease, and meditation, found that meditative techniques reduced the C-reactive protein (a protein linked to heart disease) in your body. Meditation doesn’t have to be that "transcendental" type of technique, and taking even a few moments to relax and take a few deep breaths can reduce the stressors that are killing us. I am a firm believer in the idiom that ‘Stress Kills’, because I have faced my own personal battles with stress and anxiety and stress attributed illnesses or medical conditions, and often have succeeded in overcoming the challenge or at least putting it into remission. Three months before I turned 30 years young, I began having a twinge in my upper right chest quadrant. Not really a plain, but a mild noticeable discomfort. It didn’t stop me in my tracks, I never felt the ‘elephant step on my chest’ or any other classic symptoms of a heart attack. I had the, ‘I’m too young for that’ phrase ready to roll off my tongue. I let the symptoms persist for several days and decided to call my doctor while on my commute to work. Speaking with his nurse she said, “Sir we are not equipped to treat a heart attack in the office, we want you to proceed immediately to the emergency room and we will call them to let them know to expect you.” Yikes! Long story short, following a two-day stay in the hospital for testing, my cardiologist told me I had had a stress-induced episode. Either I could take the medication he was going to prescribe or learn out to deal with my stress. I did a little of both medication and learning to handle my stress better. Ultimately after less than six months, I was off all medication and living a healthier lifestyle. I can attribute it to a lot of factors, but the one factor I attribute the most was meditation. I chose meditation over medication. Meditation can be done anywhere at almost any time. I even meditate in the car; just keep your eyes open. That could be the metaphor for stress relieve, keep your eyes open, and unlock options to a healthier you.